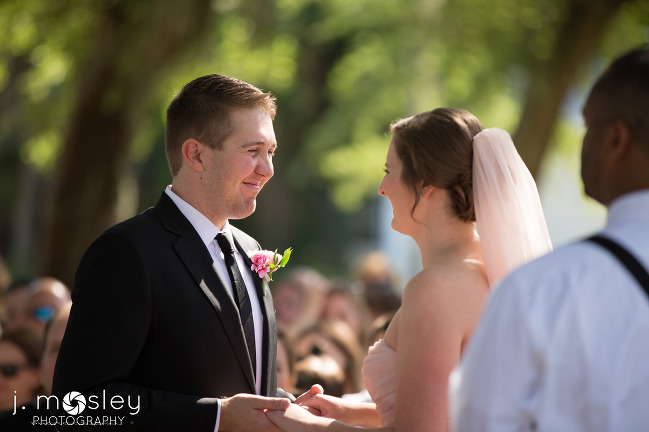 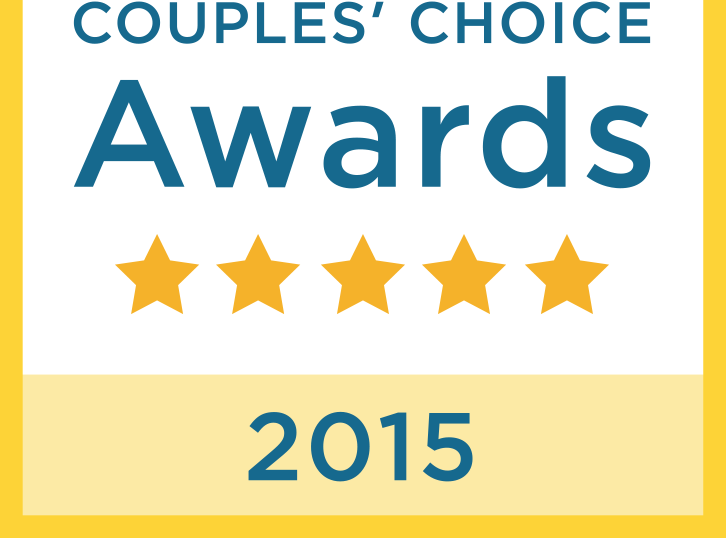 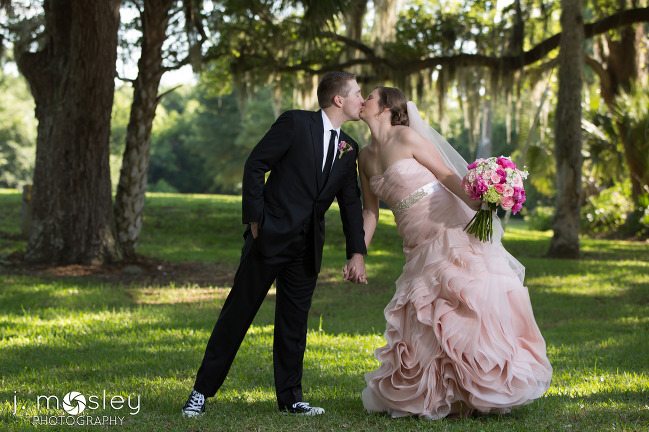 Alicia and Tyler said “I do” in an outside ceremony with a beautiful reception that followed at The Ribault Club. 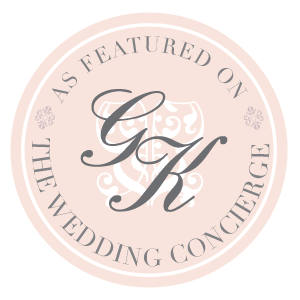 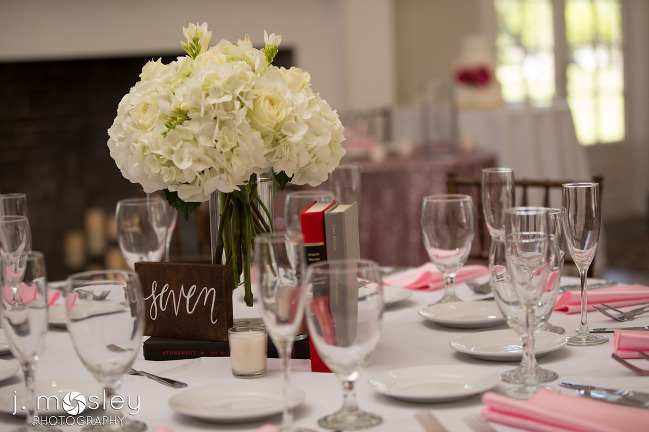 We loved working with Alicia to make her wedding floral vision happen on this special day. 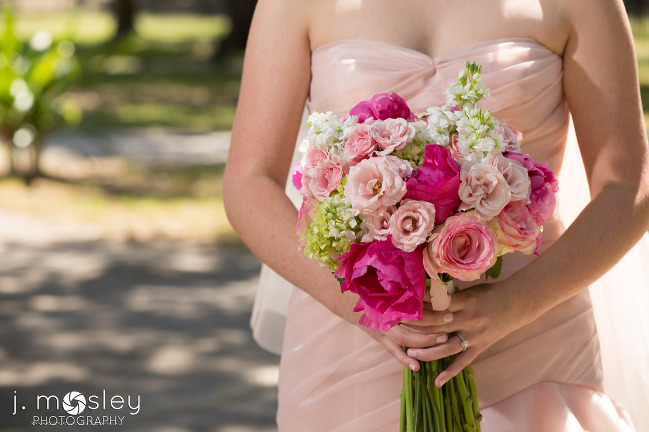 Alicia carried a breathtaking, textured bouquet created with hot pink peonies, Esperance roses, white stock tips, green mini hydrangeas, light pink spray roses, and touches of foliage. 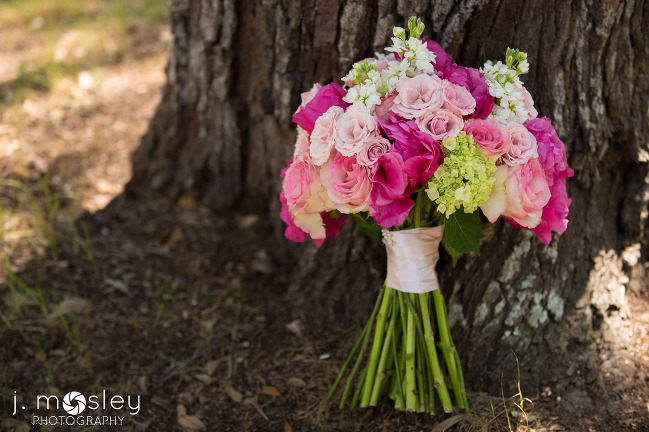 The bridesmaids bouquets were made of white hydrangeas and roses, along with white freesia buds. 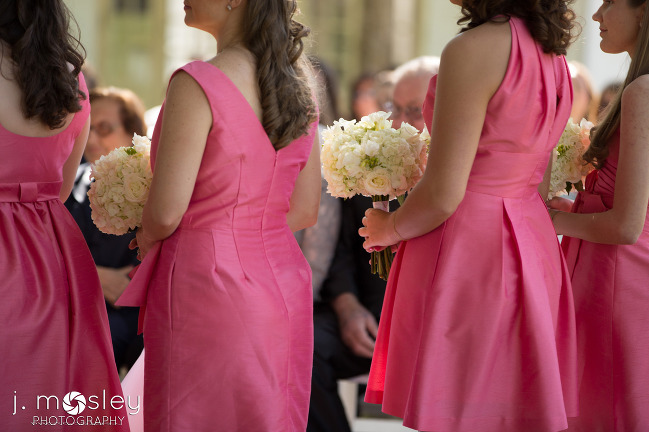 The bouquets were the perfect compliment to the strawberry pink dresses. 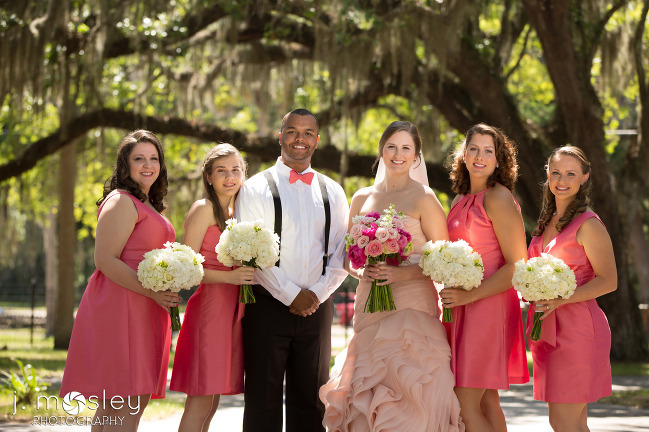 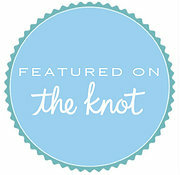 Tyler wore a boutineire created with a light pink rose accented with white freesia. 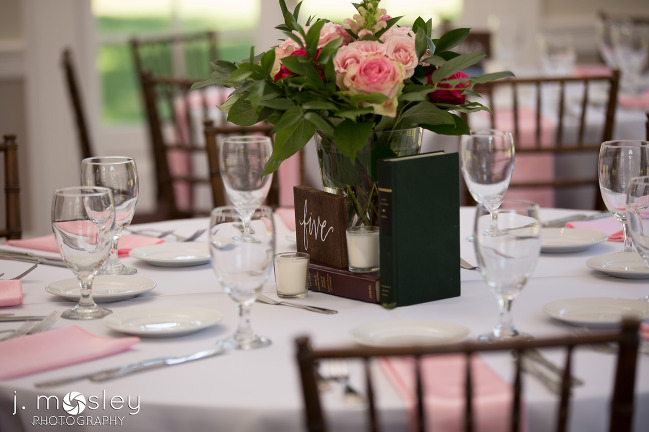 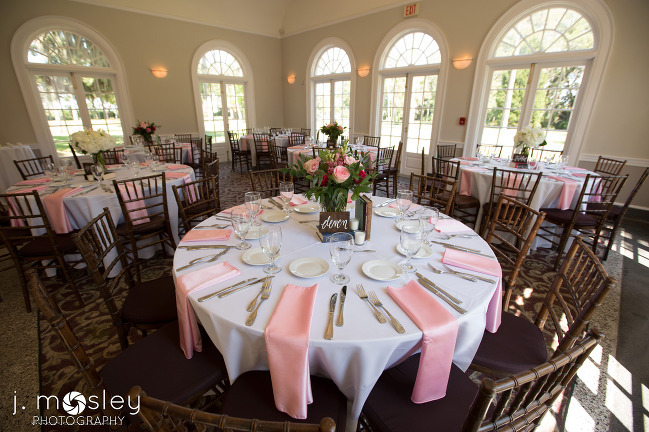 The table centerpieces were fashioned using greenery with touches of different shades of pink in a variety of flowers. 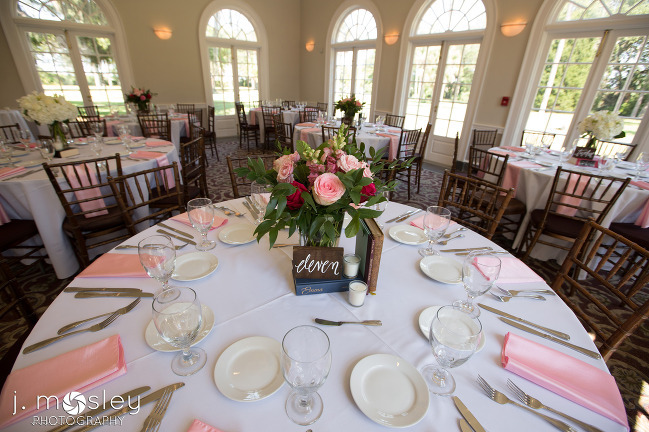 Vases were also placed on tables that held the bridesmaids bouquets.